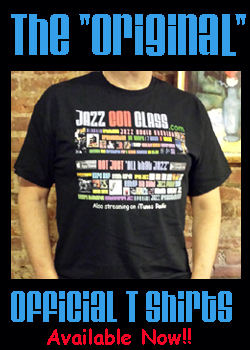 This Blues/Funk Jazz Special will be repeated today May 30th and with an hour added to it. It will begin at the same time 3PM New York Time and broadcast until 4PM. ENJOY! This Saturday, May 23rd at 3P.M. 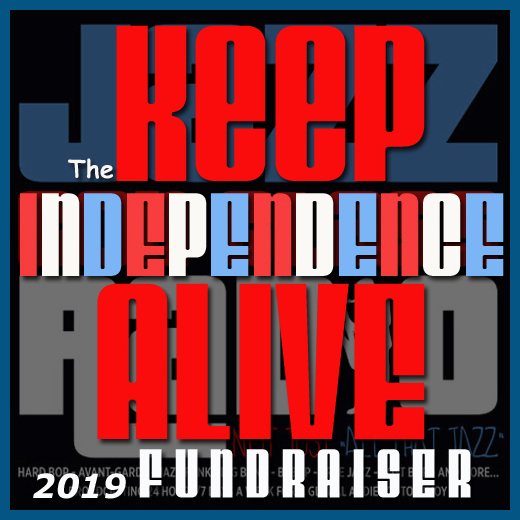 Eastern New York Time the Jazz Con Class Radio listeners will be enjoying a Jazz Funk/Blues special that will last three hours in total and will end at 6PM. 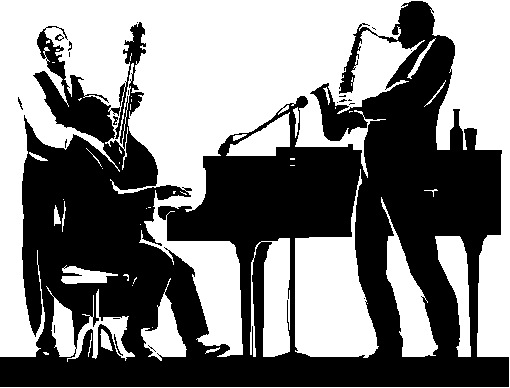 It will concentrate on Jazz music that from the mid 50’s, when the Hammond organ was introduced to Jazz and with the sole purpose of adding more Blues to the tunes. This special will also concentrate on the very beginning of what the music industry decided to name Jazz-Funk. 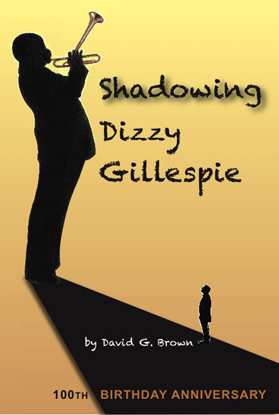 This Jazz era began in the mid 60’s and lasted until the early 70’s and was more soulful. 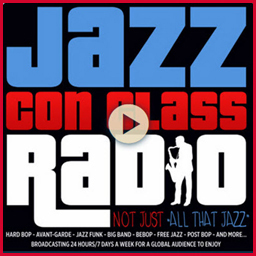 That’s as far in time that Jazz Con Class Radio will travel. 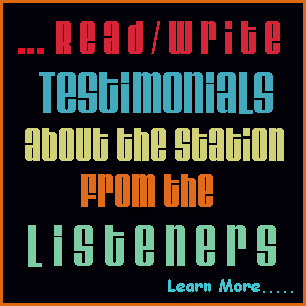 Jazz Fusion was very exciting as well but this Jazz station is more traditional and will not play any Jazz that was recorded after the mid 70’s. There are two very important exceptions; one is if the recordings are from legendary older Jazz musicians and secondly, if they are young jazz musicians who record traditional Jazz music. 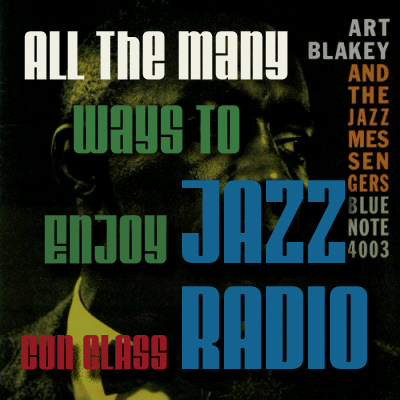 Check the playlists and learn all the Jazz eras that broadcast here. Check the schedule link also to learn when these playlists play. Thank you for your attention and tune in! 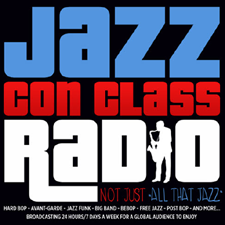 If you are new here, check this link to find all the different ways to enjoy Jazz Con Class Radio. “The Complete Live at the Bee Hive” and “More Live at Bee Hive, Chicago June 30, 1955,” are a must have if you are a dedicated Jazz collector. The Description below from FreshSounds Records is very complete and I really don’t need to add any more here but to get a hold of both recordings. “74 Miles Away” is a great Cannonball Adderley album and the main reason why is because it was recorded live. All Cannonball albums are Jazz collector items but his live ones are extraordinary. 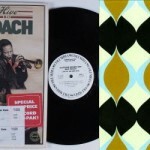 Jazz musicians of this era were very talented and their best way of proving it was to evaluate them in a live setting. Its really the only way to judge a musician, of any genre, how good are they when they play live? I cannot stress it enough, this is a REAL CLASSIC! 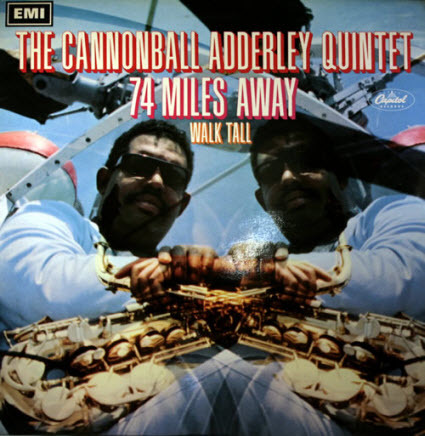 “Live,” whether used as an adjective or a verb, seems singularly appropriate when it is applied to Julian “Cannonball” Adderley and his Quintet. No jazz group presently active seems to come alive more buoyantly on the bandstand, and no other combo has benefited more fully from the advantages of recording live. This latest session was a triply happy occasion for the Adderleys, since it marked a family reunion. Julian and Nat had brought their wives to Hollywood. Mr. & Mrs. Adderley Sr. were in town on a visit from Florida, visiting with their sons, and having a ball. 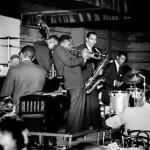 Mr. Adderley, who used to be a cornetist, commented after one of Nat’s solos: “You sound almost as good as I used to.” During “I Remember Bird,” he said: “I remember me!” Their radiant pride was an additional incentive to the two sons, as the recording got under way before a hip and responsive crowd. 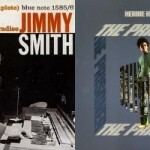 Special Event Saturday May 8th: 10-Hour Hard Bop Jazz Special! 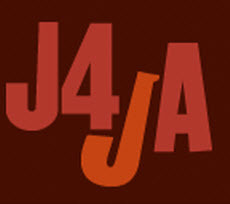 This is an official announcement of a 10-Hour Hard Bop Jazz special. It will Start at 1P.M. and end at 11 P.M. (New York-Eastern Daylight Time). 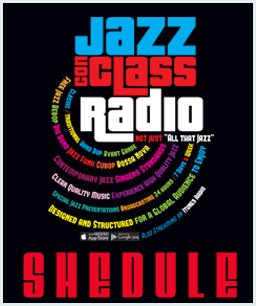 Check the Schedule Link Here and/or learn all the different ways to enjoy Jazz Con Class Radio HERE. This special will include West Coast Jazz as well since it was part of this incredible Jazz movement. 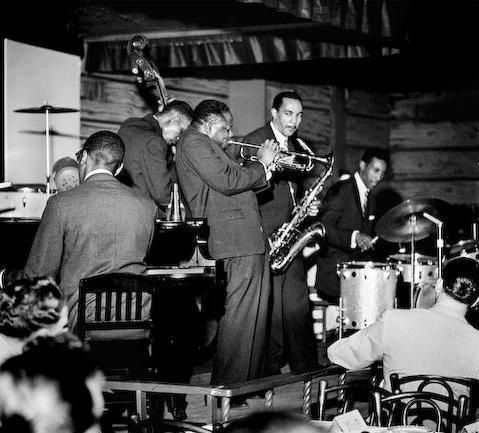 The Hard Bop Jazz Era started at about 1951 (Not Official) and evolved directly from Bebop, as it became more integrated with Gospel and Rhythm and Blues. Although Bebop had traces of this, it was very raw and very experimental. Hard Bop took it to another level and where its musicians, especially the pianist and saxophone players, became more creative/inventive. 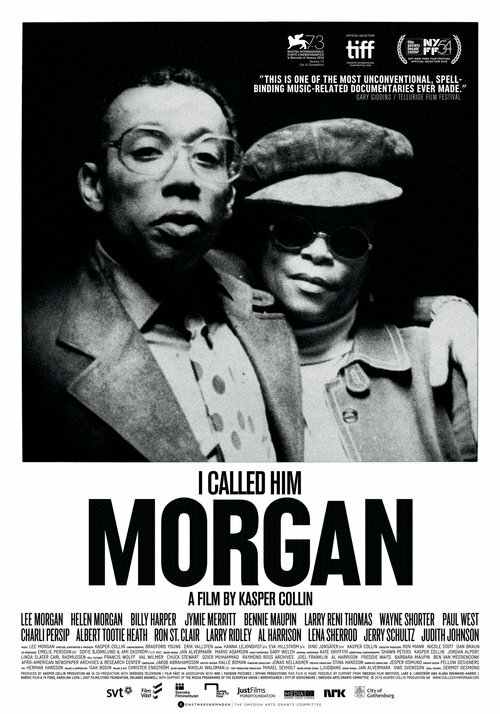 I call it the “Golden Age of Jazz” and where the best Jazz musicians existed and were at their prime, at the same time. West Coast Jazz is Hard Bop as well but began in a more European Classical/Sophisticated form and as many critics argued, lacked the Gospel, Rhythm and Blues feeling. I disagree with this evaluation and feel that west coast musicians just started a little late and slowly caught on. The East Coast Jazz musicians began collaborating with the West Coast in about 1953 when they began to travel to each others Jazz meccas, which was New York (Already striving with Jazz) and Los Angeles (In its infant stages). 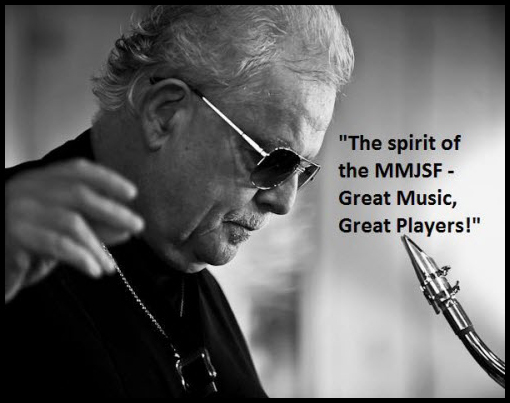 Let’s not forget, Charles Mingus, Dexter Gordon and many, many other greats were from the Los Angeles area. 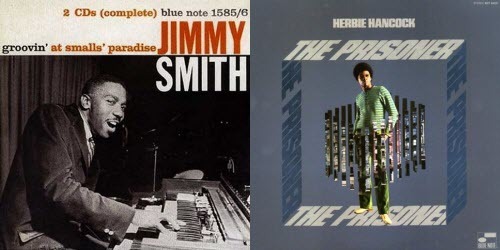 This is a very short description of Hard Bop, so if you want to learn any further, I placed a few links below so you can begin somewhere. Thank you for your attention and ENJOY! 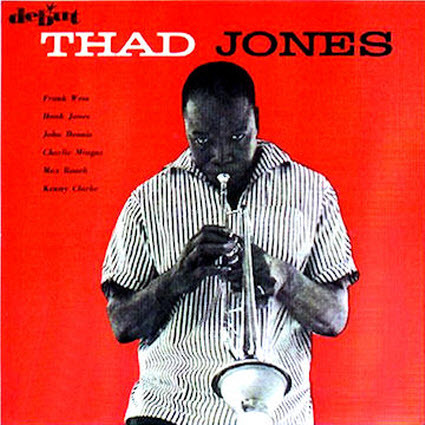 The 1955 album (Recorded in 1954), named “The Fabulous Thad Jones” can be found, in its original form and also as “Thad Jones” and with four extra songs added to it. The extra 4 songs were taken from this album, added to original and released, in 1956, as a compilation album and with a different album cover. 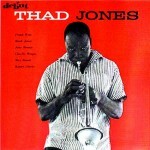 “Thad Jones” was the name of this album, the image that shows on this was the new look. 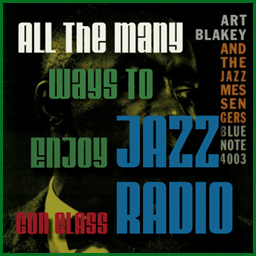 I recommend the Jazz Con Class Radio listeners to purchase this version, so you can get it all, in one (Available in MP3 version also). Great album, ENJOY!